So often do we attend shows for an evening set to our favorite songs played live just for us. We seek the sounds which resonate with the deepest parts of ourselves and in those moments, the music speaks to us. Not so often, however are we exposed to artists who have truly made an impact, uniting nations under an anthem or two to which we can all salute. Few bands have been worthy of this title quite like Toto—because not only has this timeless, classic group rocked stages worldwide, they’ve been hand selected to work on projects by some of music's most influential artists. The State presents Toto on November 13 in their anniversary tour, 40 Trips Around the Sun. Coming up out of a decade of movements, 1970’s Los Angeles becomes the breeding ground for an emerging scene of music. Creativity coupled with confusion about the new era in an evolving city is responsible for the songs of the time. As boroughs in New York City became more divided, Los Angeles remained a free-moving city allowing for the fluctuation of people and their sounds. Out of this rapidly changing environment, Toto is born. After playing in a band together, high school buddies Marty Paich and Jeff Porcaro later joined forces with members David Hungate, Steven Lukather, Steve Porcaro, and Bobby Kimball to finally play and record together as Toto. 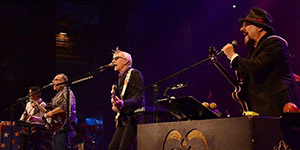 Aside from the influence created by their own tracks, Toto has worked on hundreds of albums in studio with various artists before and after becoming Toto; artists such as Boz Scaggs, LeRoux, Steely Dan, Seals and Crofts, Michael McDonald, Yoso, Sonny & Cher, and The King of Pop himself, Michael Jackson. 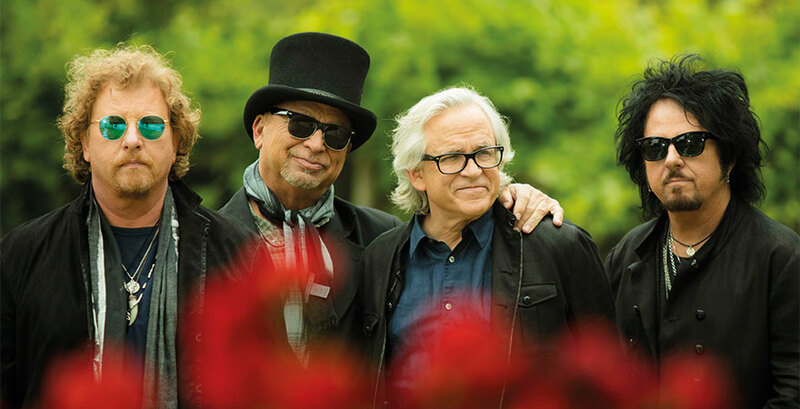 Making a name for themselves as both a band and high-demand studio artists, Toto’s ingenious members contributed to genres of award-winning songs and albums. David Paich collaborated with Scaggs on his album Silk Degrees, where Paich co-wrote five out of ten of the songs. Paich and Jeff Porcaro received frequent calls to record with Steely Dan on their albums Pretzel Logic and Katy Lied. In 1973, David Paich on keyboards, Jeff Porcaro on drums, and David Hungate on bass all played with the iconic Sonny & Cher in their live band. Delving into genres other than rock, Steve Lukather and Jeff Porcaro are responsible for some of the genius behind world-famous Thriller. Both Porcaro’s drums and Lukather’s rhythm guitar carry us through “Beat It,” a global hit. Encapsulating a history of a rotation of band members, Toto presently plays and tours with Joseph Williams on lead vocals, David Paich on keyboards and vocals, Steve Porcaro on keyboards, Steve Lukather on guitars and vocals, Lenny Castro on percussion, Warren Ham on saxophone, Shem von Schroeck on bass, and Shannon Forrest on drums; all of these members who, together, seperately, or through working on other projects, have been involved in an unfathomable amount of studio hours combined. 40 Trips Around The Sun is sure to be a spectacular event, carrying on Toto’s tradition of presenting a show encompassing a line-up of everlasting jams guaranteed to rouse the whole theater. Don’t miss this trip around the sun on November 13 at State Theatre New Jersey!